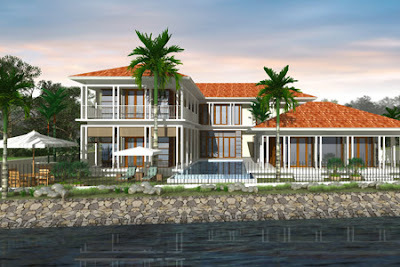 E&O Properties launch seaside villas "Martinique"
E & O Prop will launch some 40 (of a total 70) seaside villas, called Martinique, in Seri Tanjung Pinang on Dec 15. These are bungalows with designs reminiscent of old plantation houses, and mostly have a built-up of about 5,000 sq ft. They cost around RM3 million and above. 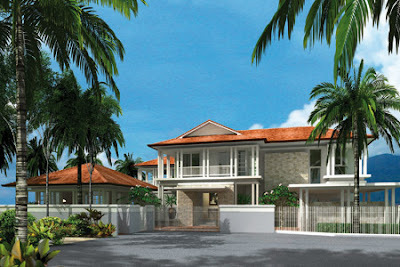 The few villas that front the sea will have a larger built-up of 9,000 sq ft and land area of 15,000 sq ft. These will be priced from RM6 million onwards. In February last year, E & O Prop had launched some bungalow plots at RM180 to RM250 psf to test the market. These have since been handed over to purchasers. "Seri Tanjung Pinang is the largest seafront development on the island and probably the only master-planned residential development around. This is a selling point for foreign purchasers because security issues are addressed; they are comforted to know exactly what kind of homes are coming up in the area. "The location is also very good as it is only 10 minutes from Gurney Drive. Our designs are rather innovative, revolving around old Straits Settlement architecture, which offers spaciousness and natural lighting, terraces, verandas and courtyards. 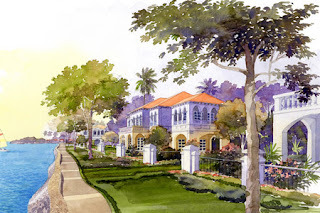 The 5-bedroom linked homes, for instance, have a built-up of 3,100 sq ft," Chong shares. With an office in Singapore now, E & O Prop will no doubt be on the lookout for development opportunities that come along, including in Singapore. "It is a very attractive, mature market, so if the opportunity to develop something there presents itself, we will certainly consider it. But there is nothing yet at the moment," says Chong. "We are focused on high-end development and we think that is the way to go in Singapore, if the opportunity comes along." 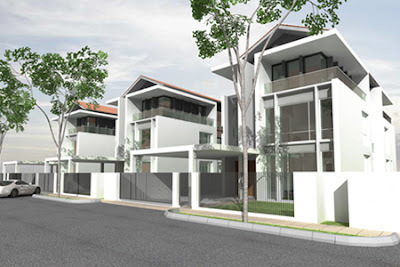 In conjunction with the opening of its Singapore marketing office and sales gallery, E & O Prop offered the second phase of its Acacia homes in Seri Tanjung Pinang, some 30 of them, for sale. The 3-storey freehold semidees have built-ups of 3,946 to 4,036 sq ft and land areas of 3,126 to 5,721 sq ft. They are tagged from RM1.385 million to RM1.885 million. E & O Property (Singapore) PTE Ltd is strategically located in Stamford House in Singapore's CBD. Meanwhile on the corporate front, Eastern & Oriental Bhd has announced its proposal to merge with E & O Prop, its property development arm.